The Council is the executive body of the Association. It may number between 9 and 20 members and all constituencies are represented. Members of Council are elected by the General Assembly to serve for three years; they may be re-elected. The Council chooses the President, Vice-President, Secretary-General and the Treasurer. The President and Vice-President shall be elected for three years. They shall be eligible for one immediate re-election of three years, by a two thirds majority of the Council of Management on the expiry of the first term. Jakob de Haan is Head of Research of De Nederlandsche Bank and is also Professor of Political Economy, at the University of Groningen. 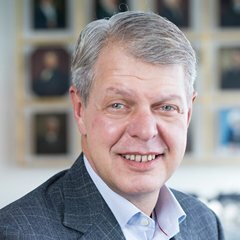 He has been Scientific Director of SOM, the graduate school and research institute of the faculty of Economics and Business of the University of Groningen. He graduated at the University of Groningen, where he also received his Ph.D. He has published extensively on issues like public debt, monetary policy, central bank independence, political and economic freedom and European integration. 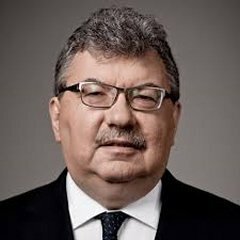 He is member of the editorial board of Public Choice, and European Union Politics, editor of the European Journal of Political Economy, and has been President of the European Public Choice Society. De Haan has been visiting professor at the Free University Berlin (2003/4), Kiel Institute (2002, 2010), and the University of Munich (1999). He is also research fellow of CESIfo. Michala Marcussen assumed the role of SG’s Group Chief Economist in September 2017 and leads a team of over 30 economists and sector engineer’s in her role as Head of Economic and Sector Research in the Risk Division. She is a member of Société Générale’s Group Management Committee and has been with the SG Group since 1994. With over 30 years of experience in the financial industry, she is a frequent commentator in the economic debate. Michala Marcussen holds a Master of Science in Economics from the University of Copenhagen and is a CFA charterholder. 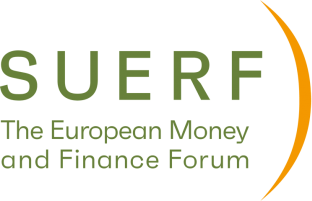 Michala is also Vice President of the SUERF (European Money and Finance Forum) Council of Management. Born in 1964 in Vienna, Dr Gnan received his Doctorate in economics at the University of Economics and Business Administration, Vienna, in 1989. He started out his professional career as an investment fund manager in 1987 and joined the Oesterreichische Nationalbank as an economist in 1988. In 1992, he moved to the European Commission, DG ECFIN, in Brussels and in 1994 to the European Monetary Institute, the ECB´s forerunner institution, in Frankfurt. In 1998, Dr Gnan became Deputy Head of the Oesterreichische Nationalbank´s Foreign Research Division. Since 1999, he has been Head of the Bank´s Economic Analysis Division. In 2006, he furthermore became Counsel to the Board. Dr Gnan is also member of the European Central Bank´s Monetary Policy Committee and expert member of the Austrian Fiscal Council. Since 2006, Dr Gnan has also served as Secretary General of SUERF – The European Money and Finance Forum. Between 2010 and 2018, Dr. Gnan was also alternate member of the Austrian Competition Commission. Dr Gnan has been giving numerous lectures on issues related to macroeconomics, monetary policy, EMU, European integration, and the financial and sovereign debt crisis. For several years, he was adjunct professor at Webster University Vienna and lecturer at the German Association for Financial Analysts. Since 2005, he has been lecturer at the University of Vienna, and since 2006 lecturer at the Austrian Academy of Accountants. His publications cover monetary policy; central banking; inflation and inflation expectations; macroeconomic imbalances; financial markets, banking and financial regulation; globalisation; economic growth; economic, institutional and legal aspects of EMU; exchange rate policy, the European and international monetary system, banking and finance. Donato Masciandaro, born in Italy in 1961, has been a Full Professor of Economics since 2001. 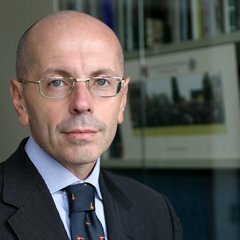 He holds the Chair in Economics of Financial Regulation at Bocconi University in Milan, and is Head of the Department of Economics. Since 2008, he has been Director of the BAFFI Center on International Markets, Money and Regulation. He is a member of the Council of Management and Honorary Treasurer of SUERF. He has served as a visiting scholar at the IMF Institute (International Monetary Fund), and has been a consultant at the Inter-American Development Bank and the United Nations. He is Associated Editor of the Journal of Financial Stability. Donato Masciandaro's work has covered three main topics: central banking, financial regulation and supervision, illegal financial markets. His three most recent books are: The Handbook of Central Banking, Financial Regulation and Supervision after the Crisis (ed. ), 2011, Edward Elgar, Cheltenham (with S. Eijffinger), Designing Financial Supervision Institutions: Independence, Accountability and Governance, (ed. ), 2007, Edward Elgar, Cheltenham (with M. Quintyn) and Black Finance. The Economics of Money Laundering, Edward Elgar, Cheltenham, 2007, (with E. Takats and B. Unger). Urs Birchler is Professor of Banking at the Department for Banking and Finance at the University of Zurich, having previously worked at the Swiss National Bank, where he was Director of the Financial Stability Unit, and has been a member of the Bank’s Basel Committee on Banking Supervision and Chairman of its Basel Committee Research Task Force. His university teaching commitments have dealt with the theory of financial intermediation, banking and banking regulation, financial stability, game theory and economics of information, and have included appointments at the Universities of Zurich, St Gallen, Bern, Lausanne and Leipzig. His research has also focussed strongly on banking, bank insolvency law and deposit protection. Recently he has co-authored a policy report on the "Implicit Government Guarantee for Big Banks" and a textbook on "Information Economics". He is also an active blogger on www.batz.ch - the forum for Swiss economy policy. Roberto Blanco has been Head of the Financial Studies Division, DG Economics, Statistics and Research at Banco de España since November 2007. Previously he was Macrofinancial Analysis Unit Manager, DG Economics, Statistics and Research. From 1991 to 1997, he was economist in C.N.M.V. Economic Analysis Division. He is a representative of Banco de España in international fora, and since 2007 Spanish delegate of the Committee on Financial Markets of the OECD. He is also a regular participant in the Annual BIS Meeting of Central Bank Chief Economists. Roberto Blanco regularly writes and has been editor of the Spanish Review of Financial Economics (previously, Revista de Economía Financiera). From 2005 to 2008, he served as a Member of the Board of Asociación Española de Finanzas (The Spanish Finance Association). 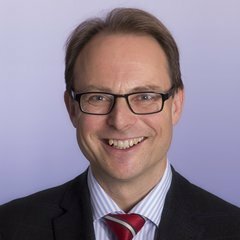 Carl-Christoph Hedrich, born in Ludwigsburg/Germany in 1961, is a Director and Senior Research Manager at Commerzbank AG in Frankfurt/Main. He joined Commerzbank in 1993 as an analyst in the Economic Research Department, writing texts and speeches on various questions around strategic, structural and regulatory aspects of banks and financial markets. In the run up to the euro he was involved in the communication of the euro project. From 2006 on, as Head of Issue Management in the Communications Department, he built up a small unit responsible for positioning Commerzbank in the political and regulatory debate. Since mid-2013, his focus has been on research on bank-related issues as well as maintaining contacts with academics and think tanks. Dr. Hedrich studied economics at the University of Stuttgart-Hohenheim in an interdisciplinary way. Having chosen economics, bank management and law as special courses, he received a degree as Diplom-Ökonom in 1985. After his 15-month compulsory military service in 1986/87, he worked as an assistant lecturer in several departments of Hohenheim University, specialising in macroeconomics, monetary policy and international economics. He obtained his doctoral degree in 1992. Dr. Hedrich has published on a wide range of issues, mainly during his time at university, such as special forms of hybrid bank capital, the legal and economic foundations of the German savings bank sector, critiques of the Maastricht Treaty and the Basel II-Capital Accord. Patricia Jackson is a member of the Franchise Board of Lloyd's of London the insurance market and chairs the risk committee. She is also on the board and chair of the risk committee at the digital challenger bank Atom, BGL, which owns the comparison website Compare the Market, and the UK securities trading subsidiary of SMBC Nikko. 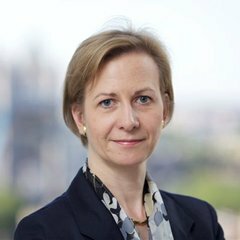 She is a former EY partner having joined in 2004 to build up the banking risk practice and then led the financial regulation practice across EMEIA. Patricia was very involved in the aftermath of the crisis and chaired a global group for the Institute of International Finance to examine the causes of the problems in the securitisation market. Post crisis she focused on risk governance and risk culture and the development of more effective mechanisms to prevent the excessive buildup of risk. She co-authored and edited a book on risk culture published by Risk Books. Patricia started her career in the Bank of England and was Head of the Financial Industry and Regulation Division. She represented the UK on the Basel Committee for Banking Supervision for 7 years and led much of the work on Basel II. She has published papers on various aspects of risk and financial stability. Esa Jokivuolle is Head of Research at the Bank of Finland. He leads the research unit at the Monetary Policy and Research Department. The unit focuses on researching the interaction and stability of the macroeconomy and financial markets. 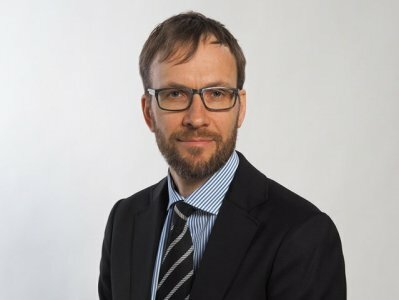 Dr Jokivuolle has served the Bank of Finland in different positions since 1999 and has also been a visiting professor at Aalto University School of Business. He graduated in 1990 as M.Pol.Sc. from the University of Helsinki, majoring in economics, and received his doctorate (PhD) in the field of finance from the University of Illinois at Urbana-Champaign, USA, in 1996. Ryszard Kokoszczyński was born on January 19, 1954, in Warsaw, where he completed his primary and secondary education. In the years 1973-77, he studied econometrics and statistics at Warsaw University Institute of Economic Science, where he gained his master's degree. Since 1977, he has been on the staff of the Department of Statistics and Econometrics at the Faculty of Economic Sciences holding a professorship since 2005. In 2015 he became the head of a newly established Division of Quantitative Finance at the same faculty. His research interests have focussed on questions of macroeconomic and financial modelling, monetary economics and the banking system. During his university career he has also received experience of other kinds, from a student internship at the statistics and research department of the Malta trade union federation, study visits and participation in academic conferences, to a year's internship at the Institute of the World Economy in Kiel (Germany). In 1987, Ryszard Kokoszczyński began work - initially on a part-time basis - in the Team of Research Experts at the National Bank of Poland. He has served in various capacities in the bank (i.a. 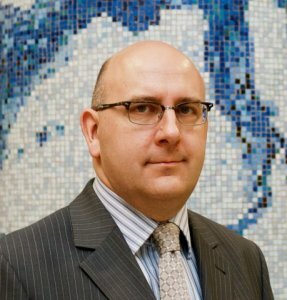 Head of Research and Deputy Governor), where he is currently Member of the Board (since August 2015). He is also a member of the Economic and Financial Committee of the Council of the European Union and a member of the Council of Management of SUERF – the European Money and Finance Forum. His professional experience also includes chairing the Supervisory Board of Powszechny Bank Gospodarczy, Lodz (1991-97), membership in the Supervisory Board of the Warsaw Stock Exchange (1992-97) and of the PKO BP bank (2002 - 2005), courses and training at the World Bank and the Banque Nationale Suisse, and secondment to the head office of Dresdner Bank in Frankfurt. 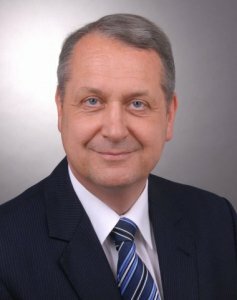 Ryszard Kokoszczyński is the author of some 100 academic publications, Polish and foreign, on macroeconomics, monetary policy, banking and financial econometrics, member of a few editorial boards of economic journals and an editor of the book series “Polish Studies in Economics” (published by Peter Lang). Frank Lierman is the former Chief Economist of Belfius Bank, having formerly held the role at Dexia Bank Belgium. Previously he worked at the Artesia Banking Corporation and its predecessor Paribas Bank Belgium in a number of capacities: Economic Research, Marketing, Organisation, Asset Management, Euro-Project. He is a member of the Council of Management of SUERF – the European Money and Finance Forum, serving on its Editorial Board and has been the Association's Vice President. He is also co-president of the Coordination Committee of the Belgian Financial Forum (BFF) and serves as head of the BFF's Revue bancaire et financière. He has authored numerous publications on the solvency and profitability of Belgian financial institutions, and on various financial and macroeconomic topics. He holds a degree in Economic Sciences from the Catholic University of Leuven. 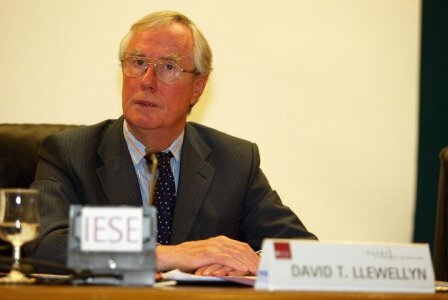 David T. Llewellyn is Professor of Money and Banking at Loughborough University, and Honorary Visiting Professor at the CASS Business School in London; Visiting Professor at the Vienna University of Economics and Business; External Member, Centre for Cooperative Studies, Kellogg College, University of Oxford; Associate Senior Research Fellow, at the Centre for European Policy Studies (Brussels). He is Consultant Economist to ICAP plc. He has recently been working with several central banks on aspects of the global financial crisis and Resolution strategies. His recent research includes a project at the Centre for European Policy Studies in Brussels on the economics and role of European cooperative banks, and a second project at the CEPS for the European Parliament on trends in European banking. In March 2011 he was appointed a member of the Banking Stakeholder Group of the European Banking Authority, and elected as Vice Chairman in July. Previous career appointments include serving as an economist at Unilever (Rotterdam), HM Treasury (London), and the International Monetary Fund (Washington). Between 1994 and 2002 he was a Public Interest Director of the Personal Investment Authority (the UK regulator of retail financial services until it was superseded by the FSA). He serves as a consultant to financial firms, management consultancy firms, and regulatory agencies in several countries including South Africa where, in 2004, he was appointed by the Minister of Finance to be a member of a Task Group to investigate competition in the South African Banking industry. He has been a consultant to the World Bank and the International Monetary Fund, and has been a member of an IMF international advisory committee on governance in supervisory agencies. For several years he was a member of the London Advisory Board of the Halifax Building Society and has served as a consultant to the Building Societies Association and several mutual building societies in the UK. 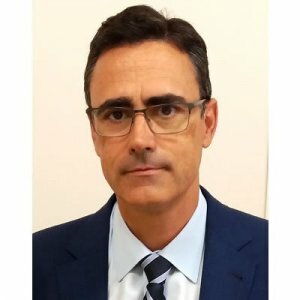 He is a member of the Advisory Board of the European Banking Report at the Italian Bankers Association and a member of the Academic Board of the International Centre for Financial Regulation in London. Between 2004 and 2008 he was a member of the Banking Panel of Bank Indonesia. In 2004 he was a consultant to HM Treasury on governance in life mutuals (Myners report), and was a member of the PricewaterhouseCoopers team investigating the macro economic impacts of the Basel II Accord for the European Commission. In 2005-6 he was a member of the IESE Business School team commissioned by the EU Commission to investigate the retail banking industry in EU countries. He is a member of the Council of Management of SUERF - The European Money and Finance Forum, and was President between 2000 and 2006. He has written extensively on the analysis of banking and financial markets and their regulation. Books include: Financial Regulation: Why, How and Where Now? (with Charles Goodhart and others), The Economic Rationale of Financial Regulation (FSA Occasional Paper No.1), Surveys in Monetary Economics, Vols 1 and 2 (with Chris Green), The New Economics of Banking, (SUERF Study, No. 5), and Islamic Banking and Finance (with M Iqbal), The Global Banking Crisis and the Post Crisis Banking and Regulatory Scenario. He has written extensively in journals and in conference proceedings including: Prompt Corrective Action: Ten Years On, and Market Discipline in Banking: Theory and Practice, both edited by George Kaufman. Debora Revoltella is the Director of the Economics Department of the European Investment Bank. The Department provides impact-driven economic analysis to support the EIB in its policy and strategy definition and in its operations, with a team of some 30 economists. The main publications include the EIB Annual Report on Investment and Investment Finance in Europe, regular Economic Notes on structural issues concerning the European economy, publications on the state of the banking sector of the different regions of operations of the EIB as well as the EIB Report on Results, which assesses the development impact of projects financed by the EIB. Since 2016, the Department in also in charge of the new EIB Survey on Investment and Investment Finance, targeting 12,000 European firms each year. Before joining the EIB, Debora was the Chief Economist for Central and Eastern Europe in UniCredit, managing a team of some 45 economists in the CESEE region. She holds a degree in Economics and a Master in Economics from Bocconi University as well as a PhD in Economics from the University of Ancona in Italy. 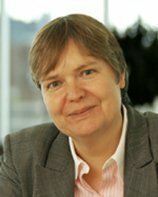 Debora is a member of the SUERF Council of Management, a member of the EURO50 scientific board and a member of the Steering Committee of the Vienna Initiative and an alternate member of the Board of the Joint Vienna Institute. Marc-Olivier Strauss-Kahn is Director General and Special Advisor to the Governor of the Banque de France (BDF). 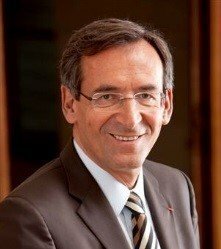 He chairs the Scientific Council and Steering Committee of the future “City of Economics and Money”, a Paris Museum project financed by the BdF to contribute to the economic education of the public. He is also a member of the Board of Universcience-Partners. From 2001 to 2017, he was Director General, in charge of the Directorate General, Economics and International (DGEI), except from 2008 to 2011 (see below). He was also the Vice-Chair of the BdF Foundation for Research. From 2008 to 2011, he was the French Executive Director at the Inter-American Development Bank (IDB) where he represented several European countries; in addition, he was “Visiting Senior Fellow” at the Peterson Institute for International Economics (PIIE), all institutions located in Washington, USA. Before holding the latter positions, he had worked at the IMF, the OECD, the BIS, and the US Federal Reserve Board, as well as --during half of his career-- at the BdF. He was the French Member or Alternate in various international or European bodies, such as the BIS Board, the OECD WP3, G7-G20-IMFC meetings or the Economic & Financial Committee and the International Relations Committee of the Eurosystem. He graduated in France (Public Economics at Paris X - Nanterre, Econometrics at Paris I - Sorbonne, Business at ESSEC, and Political Sciences at IEP Paris) as well as in the USA (Economics at the University of Chicago). He has taught economics, published articles and has been a member of various academic fora, including the SUERF Council (European Financial Forum) and the Board of the International Journal of Central Banking (IJCB). Jens Ulbrich has been Head of the Economics Department of the Deutsche Bundesbank since 2009, having previously been Deputy Head and also having worked in the President's Office at the Deutsche Bundesbank. Since 2008 he has been a Member of the Council of Management of SUERF – The European Money and Finance Forum. From 2000 – 2005 he worked at the German Council of Economic Experts in Wiesbaden, serving as Secretary General between 2003 and 2005. Previously he was an Economist in the Federal Chancellery and in the Economics Department of Dresdner Bank AG. He holds a Diploma in Economics and Political Sciences from the University of Cologne and Trinity College Dublin. Christian Upper is Head of Macroeconomic Analysis, Monetary and Economic Department at BIS. Christian Upper joined the BIS as a senior economist in the Financial Markets Section in August 2005. He became head of Monetary Policy and Exchange Rates in 2008, head of Financial Markets the following year, head of Emerging Markets in 2015, and moved to his current position in July 2018. Prior to coming to Basel, he spent seven years at the Deutsche Bundesbank. Christian holds a doctorate in economics from the European University Institute in Florence and a Master of Science in Economics from the University of Warwick. His research focuses on the interactions of finance and the macroeconomy. His work has been published in the European Economic Review and The Journal of Futures Markets as well as in publications by the Bundesbank, the ECB and the BIS. 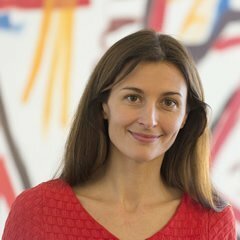 Natacha Valla is an economist. She currently works as Deputy Director-General for Monetary Policy at the ECB and teaches at NYU. 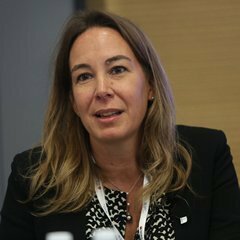 Between 2015 and 2018 Natacha Valla was Head of the Policy and Strategy Division of the EIB, a permanent member of the Conseil d’Analyse Economique (CAE). She was also a member of the Board of Directors of the groups LVMH, Accor, ASF/Cofiroute and Tikehau. She was Executive Director at Goldman Sachs Global Economic Research between 2008 and 2014. Natacha Valla worked as an economist at the ECB between 2001 and 2008. She has also lectured in international economics at New York University and Sciences-Po Paris. In 2005, she was seconded to the Research Directorate of the Banque de France. She has also been a consultant for the IMF and the OECD, and taught at the Universities of Florence, Paris-Dauphine, H.E.C. and Sciences-Po Paris. Natacha Valla received a Ph.D. in Economics from the European University Institute (Florence) in 2003. Jean-Pierre Vidal is Counsellor to the Executive Board of the European Central Bank and heads Peter Praet’s office since September 2016. He was previously Chief Economic Advisor to the President of the European Council, Donald Tusk, and a member of the cabinet of the former President of the European Council, Herman Van Rompuy. He held several positions at the European Central Bank: Head of the ECB Representative Office in Brussels (2011-2012), Deputy Head of the Monetary Policy Strategy Division (2007-2011), and Head of the Fiscal Analysis Section (2004-2007). Before joining the ECB as economist in 2000, he worked as senior researcher at the ‘Centre National de la Recherche Scientifique’ (CNRS). 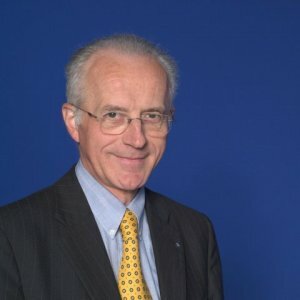 Jean-Pierre holds an MBA from ESSEC business school (‘Ecole Supérieure des Sciences Economiques et Commerciales’) and a Ph.D. from the University of Cambridge.